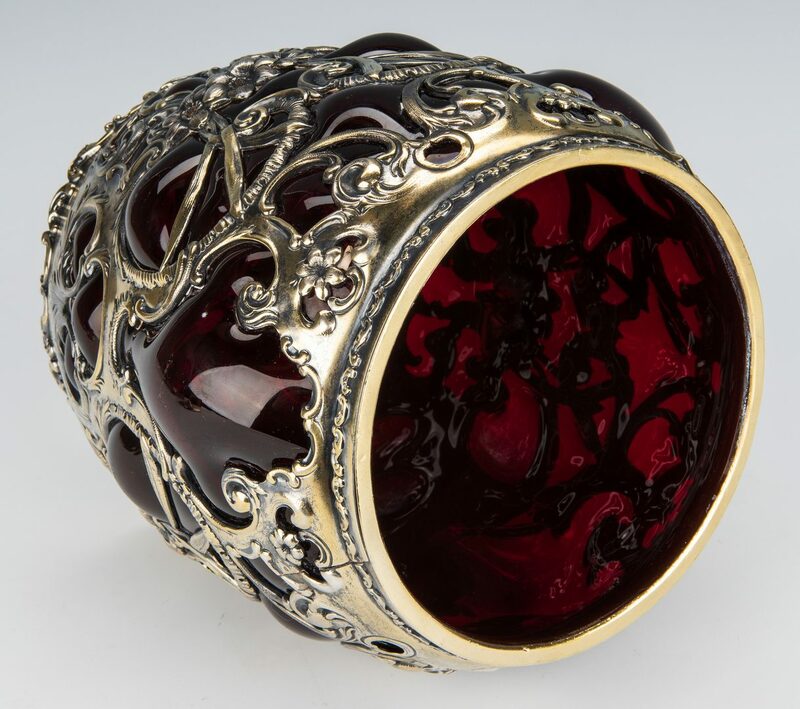 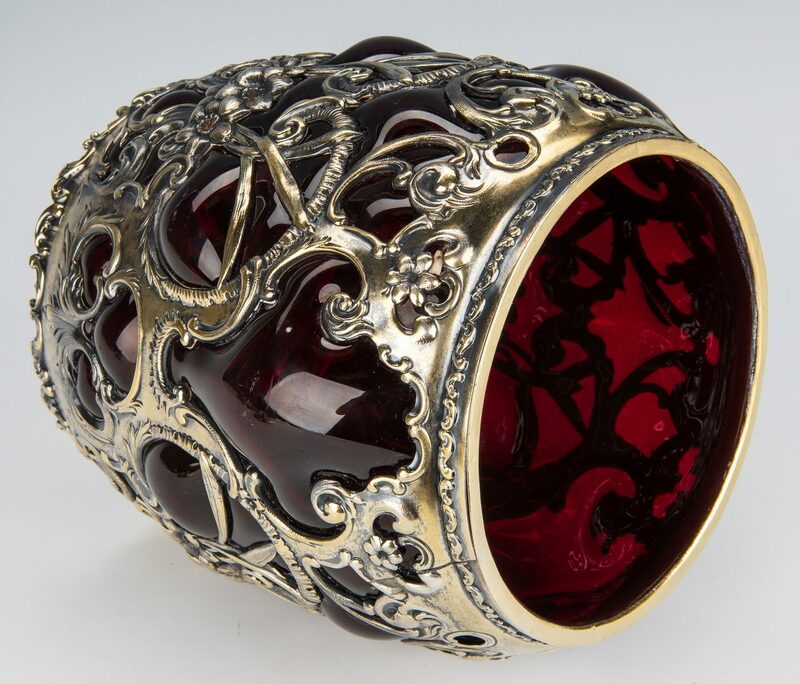 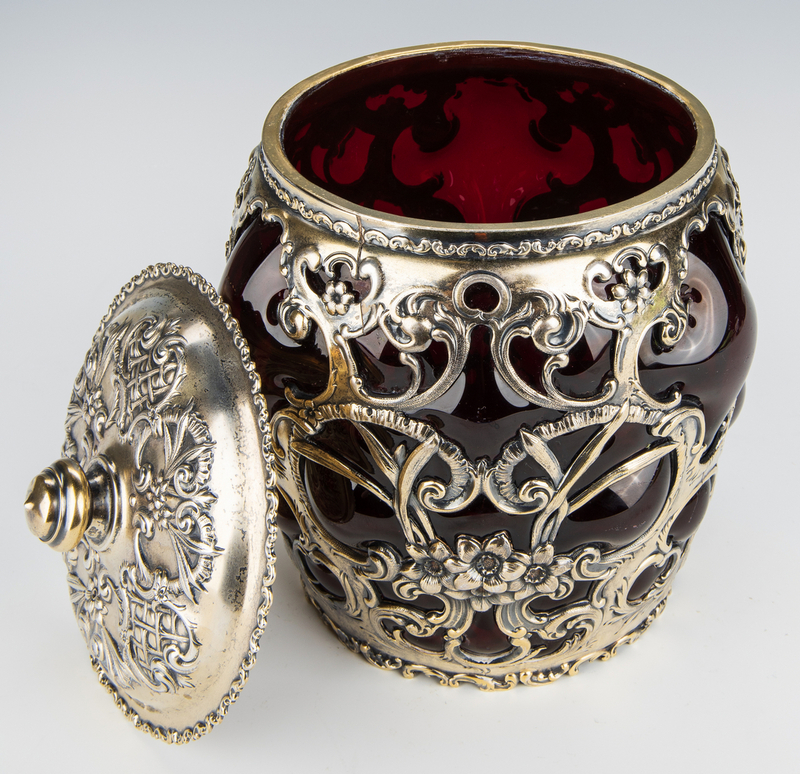 Whiting Art Nouveau sterling silver overlay biscuit jar or humidor with lobed red art glass. 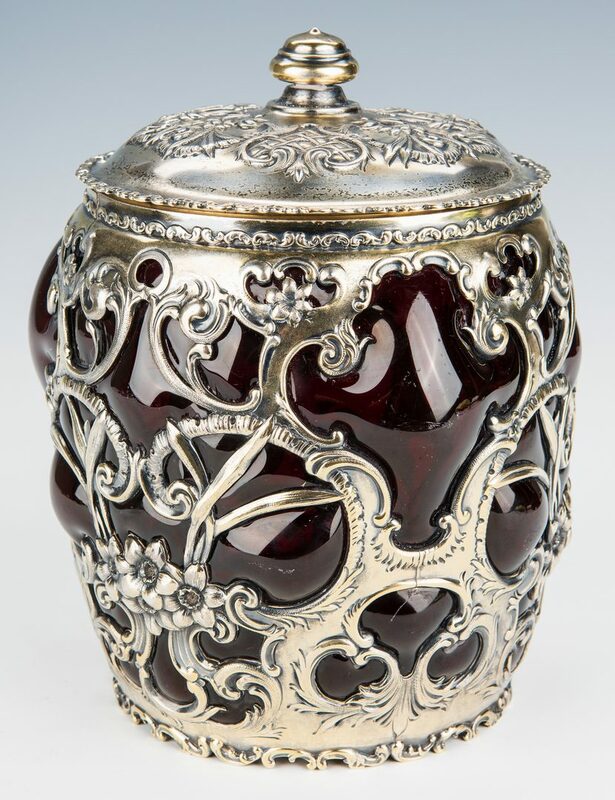 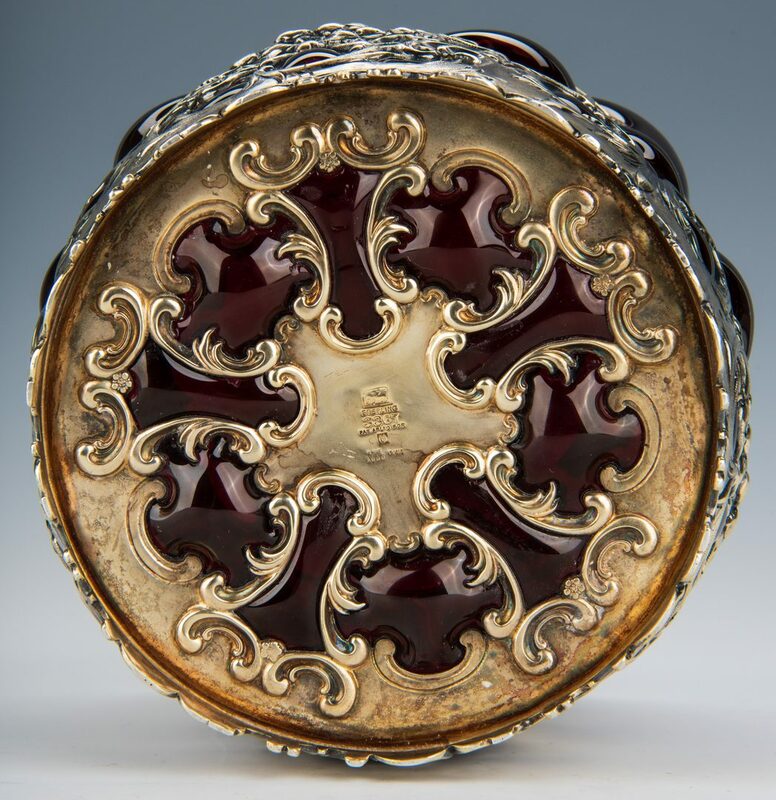 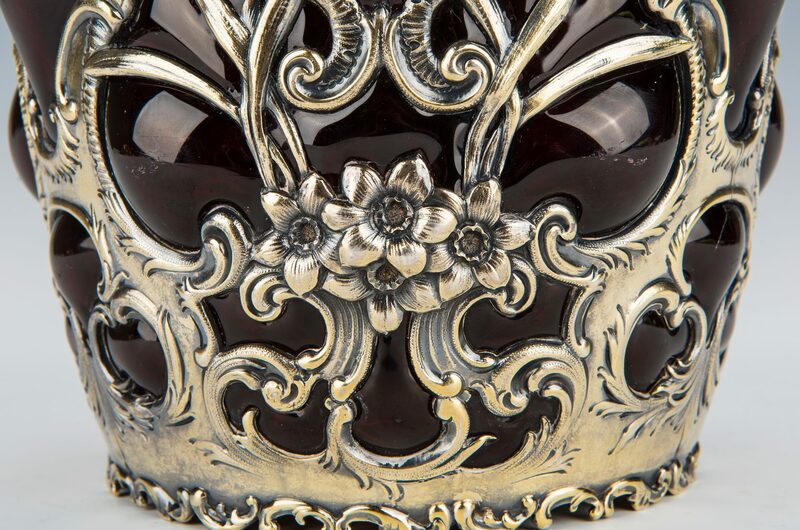 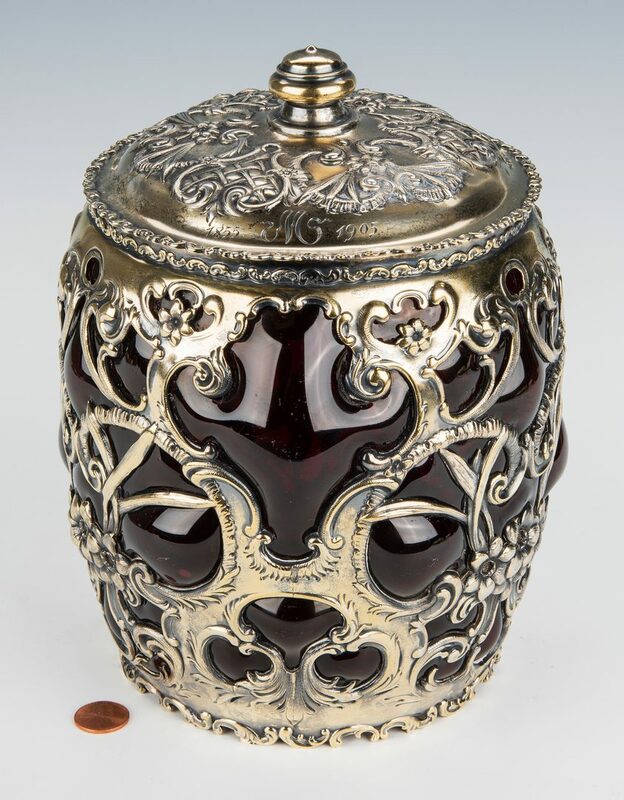 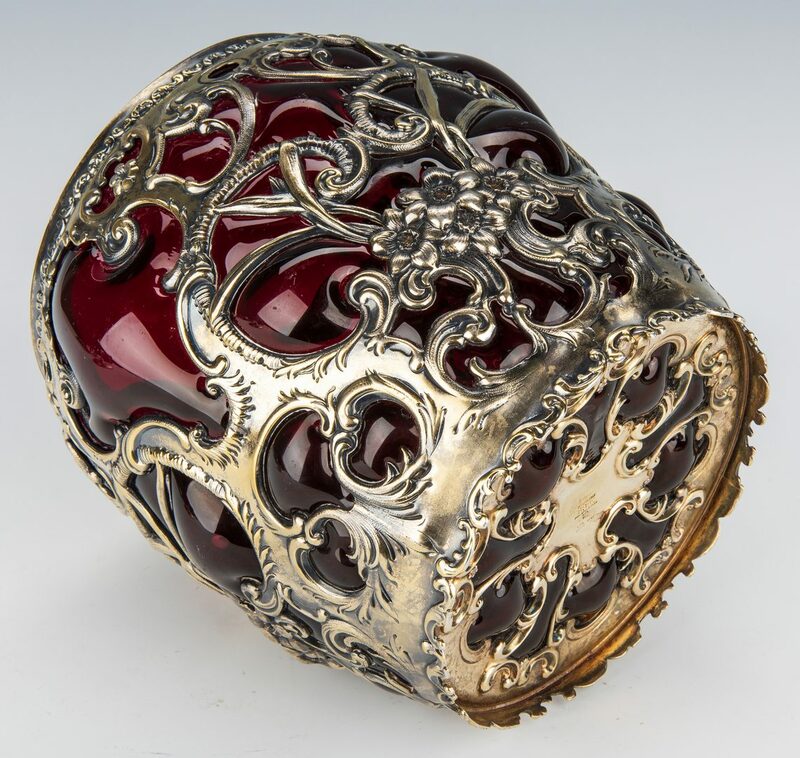 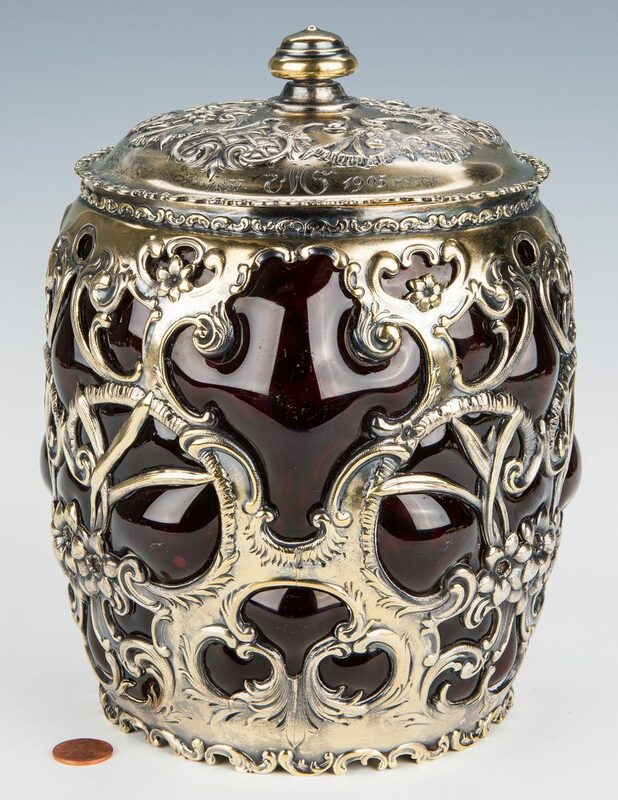 Sterling lid with knob pull and gilt washed interior, cartouches of floral and crisscross patterns and scroll rim, jar of lobed cranberry glass overlayed with open sterling cartouches, swags and floral sprays, all on scroll base. Dated and engraved on lid perimeter "1855 M 1905". 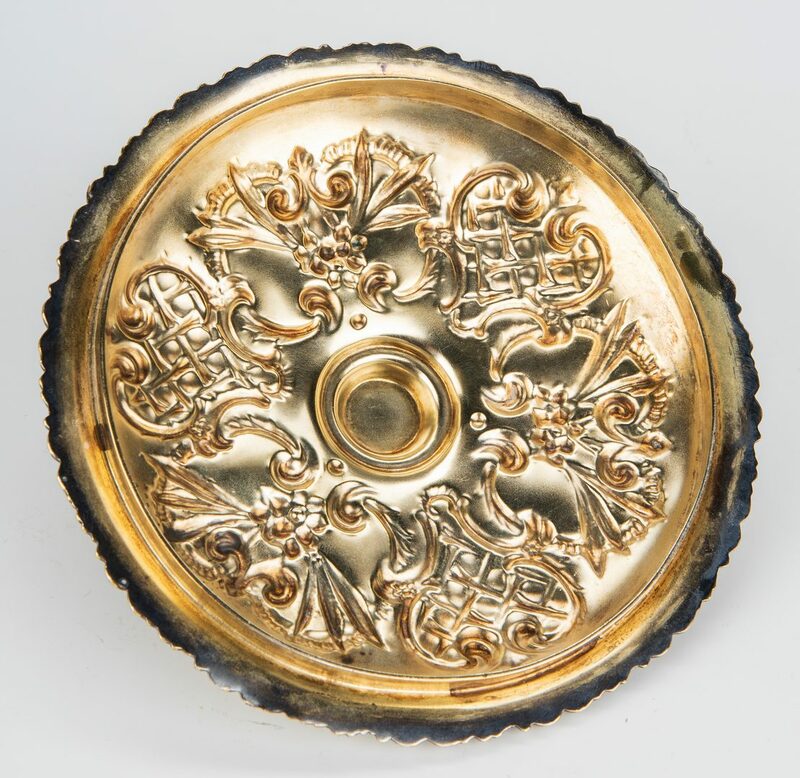 Traces of gilt wash to body. 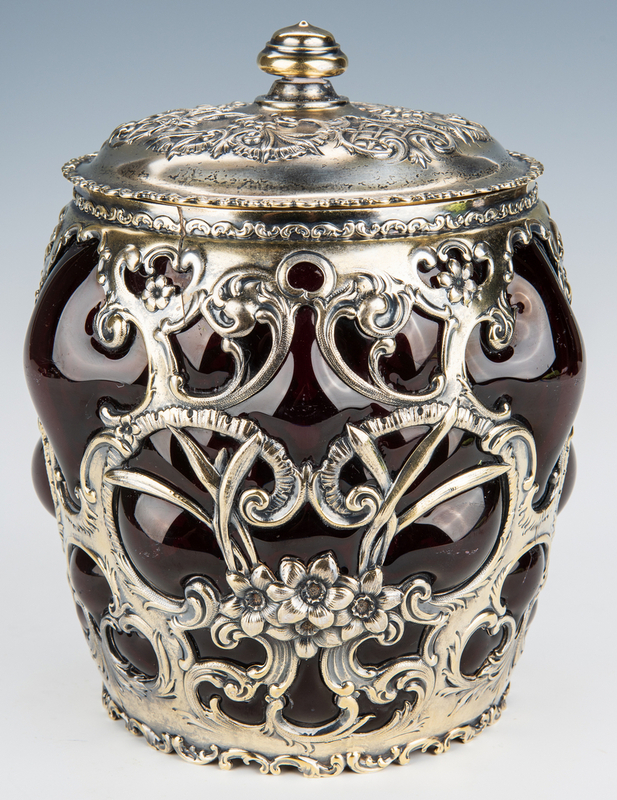 Marked Sterling with Whiting maker's mark and 3367 on base. 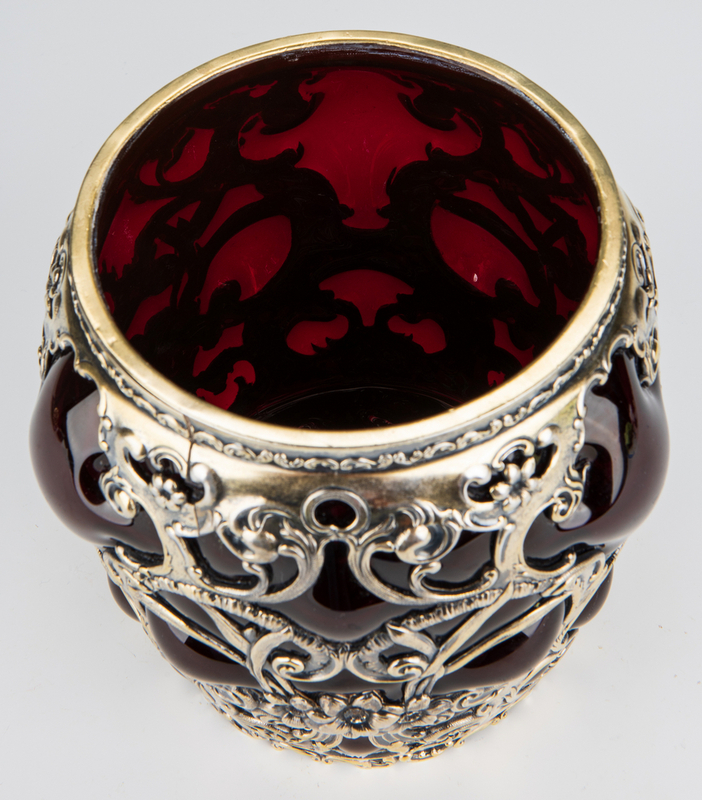 9" H. CONDITION: Liner on top of jar rim re-attached. 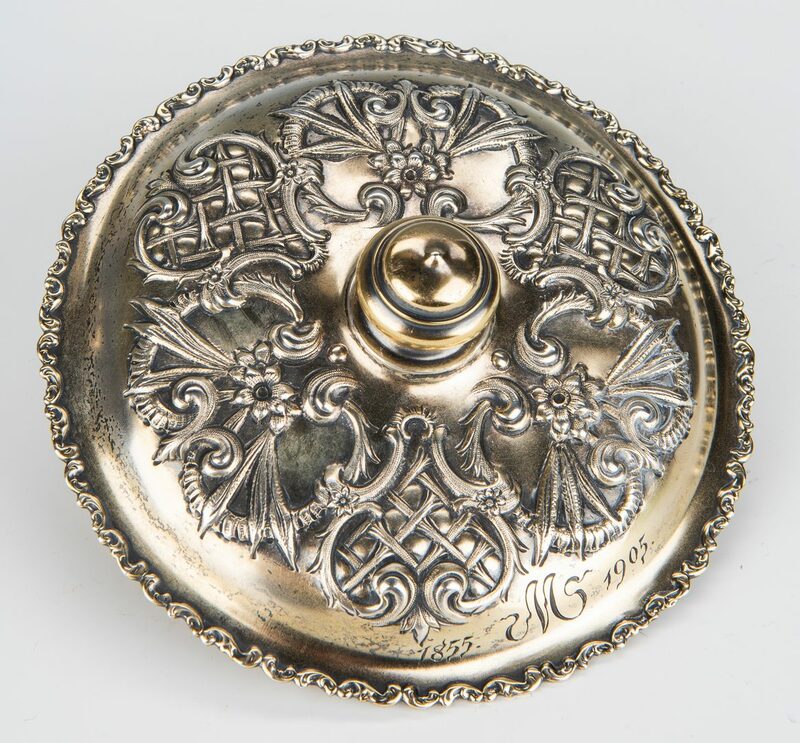 Wear and losses to gilt wash on sterling overlay exterior. Scattered areas of scratching on glass lobes. 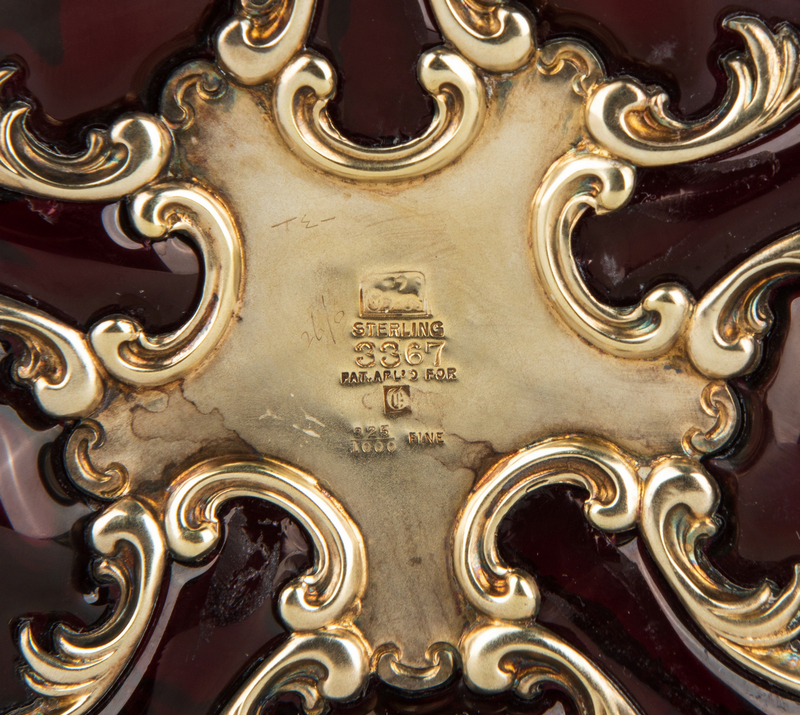 1 3/8" crack to sterling overlay emanating from rim down to body.